Today, there is a huge variety of cordless tools for any purpose, be it regular drilling, masonry drilling, screw or nut driving, or something else. You can look among different powerful devices for your applications, but if you are looking for a more power-saving device, then your path will be a little bit different. 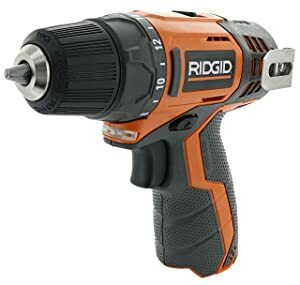 12V drills and impact drivers are more compact and less powerful compared to tools with more voltage, so you obviously should need to look for more powerful tools for tougher applications. If performance is not among your main concerns but, for example, the budget is, 12V tools are the best choice for you. They offer sufficient performance for most of the tasks, so you won’t have to think about getting more powerful tool if your applications aren’t especially demanding. Now, we will review some of the most high-quality cordless 12V drills and impact drivers to possibly make your search much easier. Let’s get started! The first tool on our list features adjustable performance for your drilling and fastening tasks. Tool’s smart select clutch lets you choose a project for the drill to automatically adjust its power to for best efficiency under different workloads. The motor of the drill/driver has two speed modes (0-400 and 0-1200 RPM) and delivers max torque of 130 in/lbs. Its 3/8 metal chuck provides durability and safe bit grip. The model features a slide pack battery for quick installation and replacement. 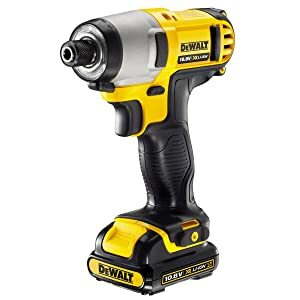 The drill/driver comes with a 12V battery, charger, a double-ended screwdriver bit tip, and is covered by 2-year warranty. Smart clutch to choose the level of performance for any task. Efficient motor delivering 0-400 and 0-1200 RPM, and 13 in/lbs. of torque. Easy-to-install battery pack for more comfort. The charger takes 110V input only. The tool doesn’t feature built-in lights. DCF815S2 impact driver is designed for convenient use through its built-in LED light, one-handed loading, and a belt clip. Weighing only 2.2 lbs. and having head-length of 6-1/4 inches, the impact driver is built for convenient application in tight and confined areas. Its motor offers multiple speeds, torque settings, and a reverse option. The kit comes with two Li-Ion 1.1 Ah batteries and a belt hook for portability. The tool is backed up by a 3-year limited warranty, 1-year free service contract, and 90-day money back guarantee. Convenient and compact impact driver for easy use and comfortable application. Multiple speed modes, including reverse, and torque settings. The tool comes with two Li-Ion batteries and a belt hook. There are no bits in the kit. The charger supports only 110V current. Weighing only 2 lbs., the PS31-2A drill/driver is the lightest tool in its class. Head-length of 7 inches makes it easy to fit into narrow and confined areas. You can do accurate screw driving and drilling thanks to its 2-speed motor (0-350 and 0-1300 RPM). Built-in LED light will help you see your worksite clearly to make your fastening and drilling more easy and precise. Onboard fuel gauge will never let you forget about recharging your tool to constantly keep it ready for use. The tool comes with two batteries, charger, and carrying case. Besides, the kit is covered by 1-year limited warranty and 30-day money back guarantee. The drill/driver is the lightest tool in its class.s. The tool offers high precision thanks to two speed modes. Onboard LED light won’t let you miss in darkness. The kit doesn’t include drill bits. The charger only supports 110V input. The R82005 cordless drill delivers 300 in/lbs. of max torque and two speed modes (0-350 and 0-1500 RPM) to facilitate your drilling tasks. The locking mechanism of the drill’s 3/8-inch single sleeve ratcheting chuck will ensure tightness of bit grip. Tool’s comfort is increased through the micro-texture surface of the handle for maximum grip and convenience. You won’t have to worry about working in low-light areas thanks to the tool’s LED light. The low battery voltage indicator will remind you to recharge the built-in battery for you to be able to use the tool whenever needed. The tool is covered by 3-year limited warranty. High-performance motor and two speed modes for efficient and precise drilling. Tight grip chuck will securely hold drill bits. Micro-texture surface of the handle for tight and safe grip. Only 120V of input current is supported. The kit doesn’t feature any drill bits. The last tool on our list offers precision through its 2-speed transmission and 18-position adjustable torque clutch. 195 in/lbs. of torque makes the tool capable of drilling into wood, metal, and plastic as well as fastening screws and bolts. The built-in LED light eliminates the need to keep additional light sources near you, freeing space and making tool’s use more convenient. Besides, the handle with ergonomic shape will ensure strong and comfortable grip. The tool comes bare and is backed up by a 1-year limited warranty. A wide range of applications thanks to the tool’s 2-speed transmission and 18-position torque clutch. The tool is designed to easily drill in wood, plastic, and metal. Besides, it is capable of fastening screws and bolts. The tool comes bare without batteries, chargers, or bits. What’s the difference between 12V and 18V tools? 18V tools are more powerful and thus suitable for much tougher tasks compared to 12V tools. If you are looking for efficiency, you should look for an 18V device. 12V tools are usually much more compact, so they are a good choice if compactness is your main requirement. Otherwise, you might want to consider looking among 18V tools for your applications. 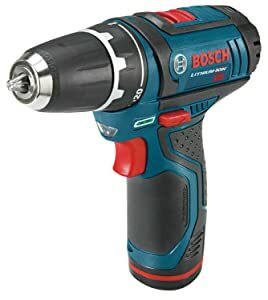 Can I unscrew car lug nuts or tight nuts in general with a 12V impact driver? 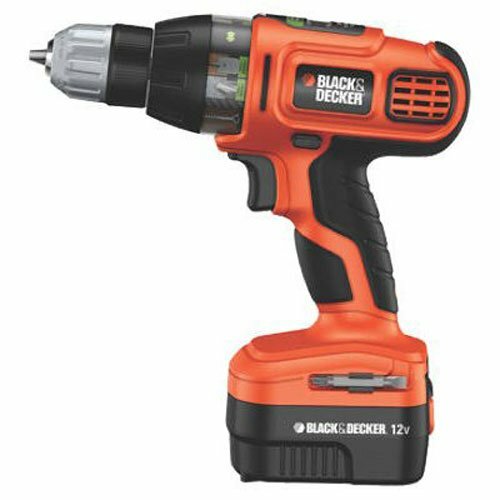 12V impact drivers usually don’t have enough torque to be capable of handling tough screws or nuts. As for lug nuts, your tool would need to deliver approximately 840-1440 in/lbs. of torque to handle them. Typically, car lug nuts are tightened somewhere between 70-120 ft./lbs. If you look closely at the specifications of above-mentioned tools, you’ll notice that none of them produces necessary amounts of torque. If unscrewing car lug nuts is your priority, you should look for a powerful 18V drill or even an impact wrench which is designed for nut fastening and loosening specifically. 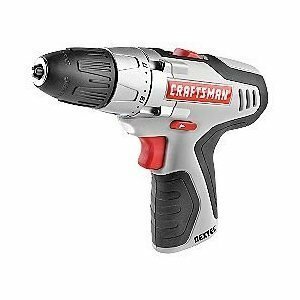 What should I get: an impact driver or a drill? Those tools are designed for completely different purposes. Drills are used to drill in wood, metal, plastic, and other materials softer than masonry and stonework. Impact drivers’ purpose is fastening and loosening screws and bolts. If you need both, look for multifunctional driver/drills. Buying a tool is not your only concern. You might need to think about some additional accessories like bits, batteries, and chargers as well if the tool doesn’t come with them. Bits need to be compatible with the type of the tool you are going to use, i.e., for example, for a drill you will need to buy a set of regular drill bits. If the tool doesn’t come with a battery or charger, you’ll need to look for such accessories that are compatible with your house current. If you try to use, for example, 110V charger in a 220V electrical network, you will at least burn your charger. Both bits and batteries with chargers are important because your tool won’t operate without them. Before buying a tool, look for accessories supporting your home current. That’s all for our review and little guide on impact drivers and drills. We wish you to find your dream tool as soon as possible! Good luck!